Occupy Fights Foreclosure re - occupies foreclosed house. On December 23rd Occupy Fights Foreclosure, a Los Angeles based group re-occupies Soledad Corona's foreclosed house. Mrs. Corona is a single mother who was illegally evicted from her home by the Bank of America on December 21st. Mrs. Corona said that she was relaxing in her home when she heard some strange noise at 9 o'clock in the morning. She looked outside the window and she saw the sheriffs breaking her locks and entering her house. There were also 7 police cars outside, Mrs. Corona added. In a few minutes the sheriffs entered her house. Mrs. Corona had a paper work from her lender, Bank of America, that promised her a loan modification. She tried to show the paper work to the sheriffs, but they did not want to look at it. Mrs. Corona said that she got very concerned about her 20 years old daughter, Victoria, who had a final in the school that day. Mrs. Corona said that she was treated as a criminal by the sheriff department and that they forced her out of the house at the gun point. Mrs. Corona added "I am a single mother and I am homeless for the Holidays". 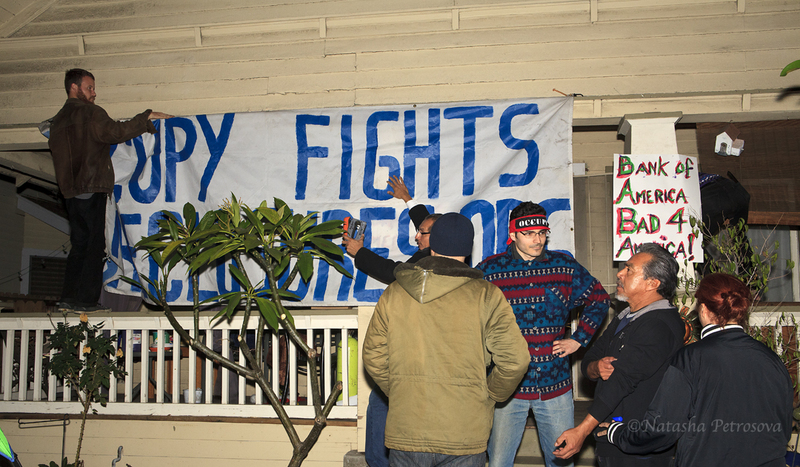 Members of Occupy Fights Foreclosure group as well as friends, neighbors and activists gathered in Soledad Corona's foreclosed house. 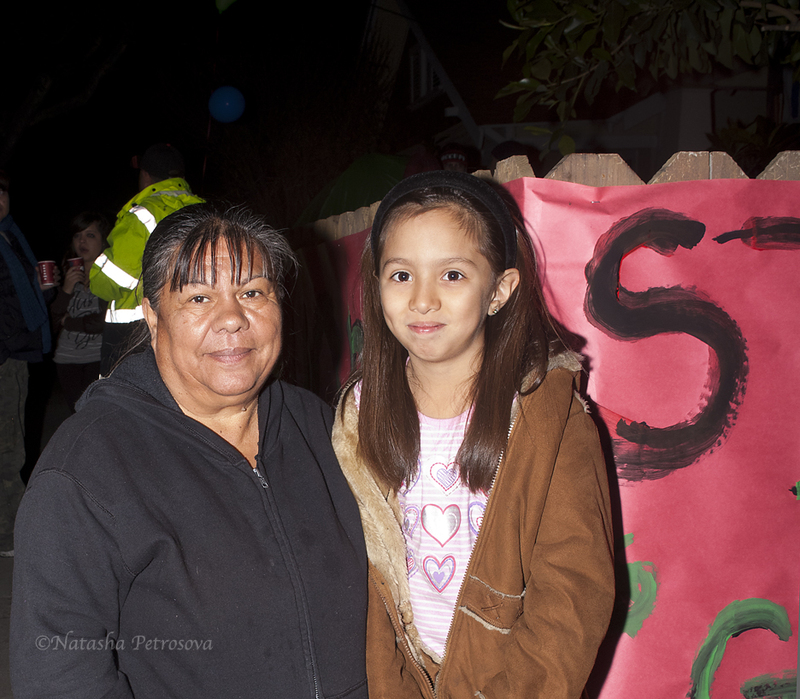 Andrea Ramirez, 9 years old, said that she is here to help her grandmother, Alicia Ramirez, to get her house back. 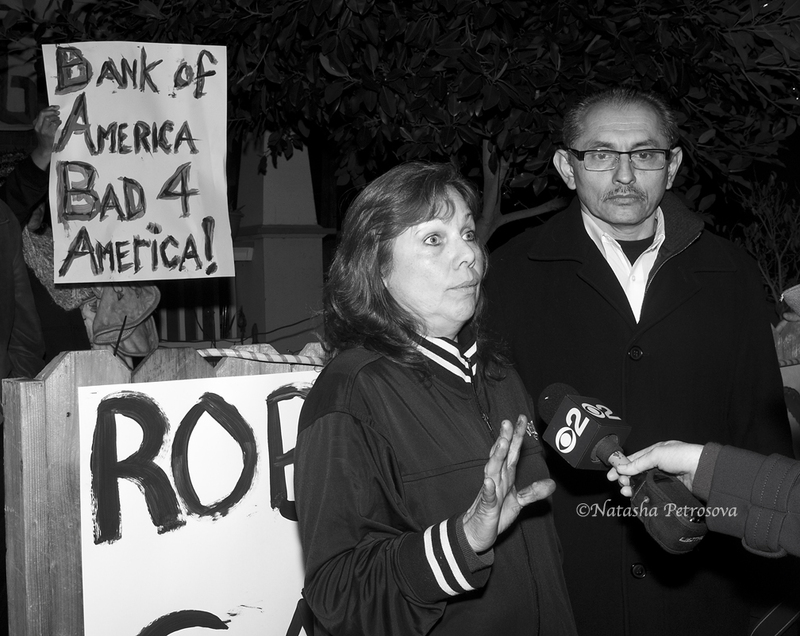 Mrs. Ramirez was illegally evicted from her home by Vanderbit Bank that also promised her a loan modification. 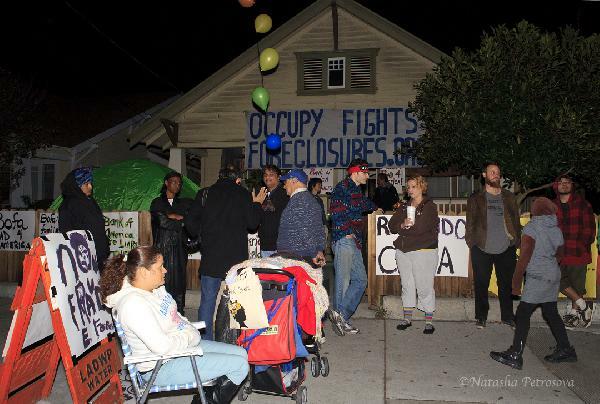 Carlos Marroquin, a member of Occupy Fights Foreclosure group said that "we re - occupied Corona's house because we hope to get the attention from Bank of America. We will stay here as long as we need. 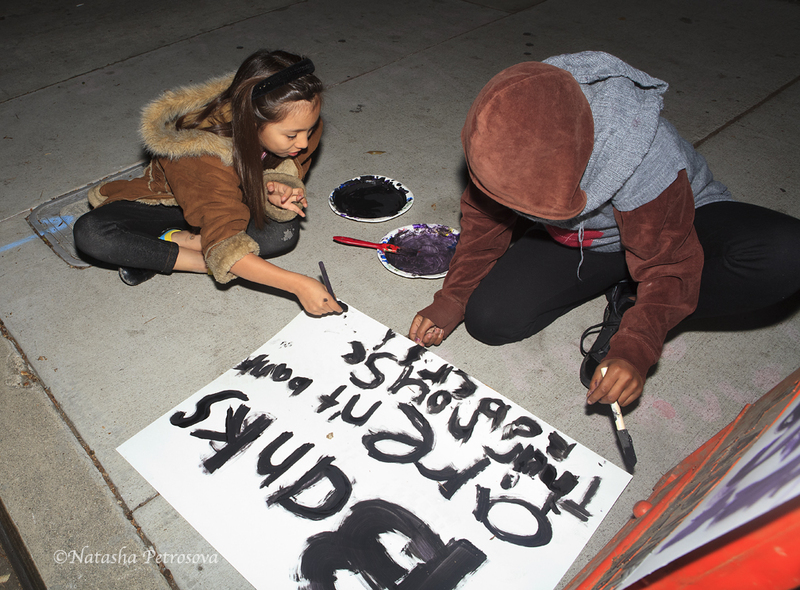 We hope that Bank of America will start working with families and will do a right thing". 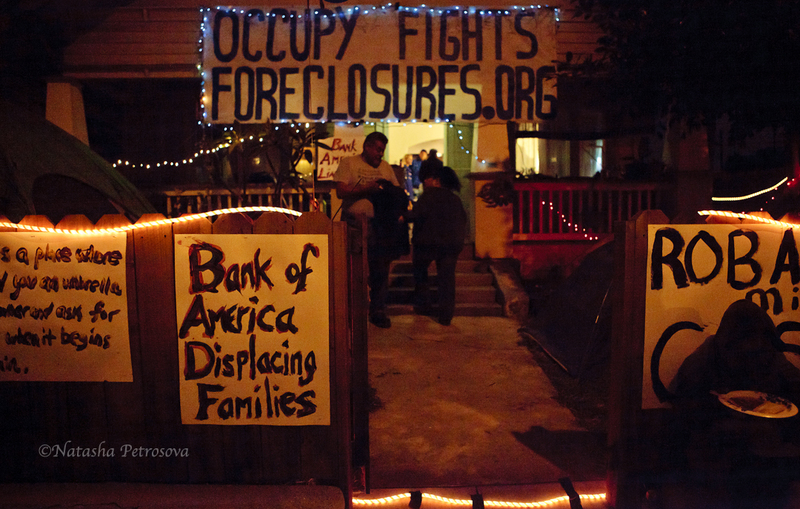 "Homeowners are the victims , they are abused by the Banks and the system", Mr. Marroquin added.